Aljezur is a municipality in Portugal. 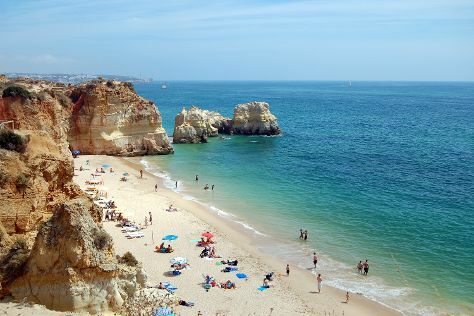 Relax by the water at Praia Da Rocha and Praia da Marinha. Venture out of the city with trips to Praia da Cordoama (in Vila do Bispo) and Olhos de Agua ( Praia dos Olhos de Água & Falesia Beach). The adventure continues: kick back and relax at Odeceixe Beach and step into the grandiose world of Castelo de Aljezur. To find more things to do and tourist information, refer to the Aljezur trip generator. New York City, USA to Aljezur is an approximately 18.5-hour flight. You'll lose 5 hours traveling from New York City to Aljezur due to the time zone difference. Expect a daytime high around 79°F in September, and nighttime lows around 65°F. Wrap up your sightseeing on the 18th (Mon) to allow time to travel to Lisbon. When in Lisbon, make a side trip to see Quinta da Regaleira in Sintra, approximately 36 minutes away. The adventure continues: meet the residents at Lisbon Oceanarium, explore the world behind art at Museu Calouste Gulbenkian, see the interesting displays at National Tile Museum, and step into the grandiose world of Castelo de S. Jorge. To see reviews, ratings, more things to do, and other tourist information, you can read our Lisbon itinerary maker. Drive from Aljezur to Lisbon in 3 hours. In September in Lisbon, expect temperatures between 80°F during the day and 63°F at night. 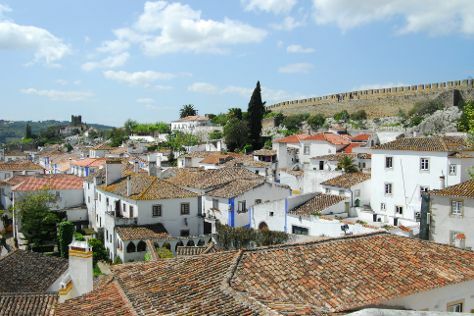 Wrap up your sightseeing on the 21st (Thu) to allow time to drive to Obidos. Kick off your visit on the 21st (Thu): kick back and relax at Foz do Arelho Beach and then don't miss a visit to Obidos Village. For other places to visit, reviews, where to stay, and more tourist information, you can read our Obidos custom trip planner. Traveling by car from Lisbon to Obidos takes an hour. Alternatively, you can drive; or take a bus. In September, plan for daily highs up to 80°F, and evening lows to 64°F. 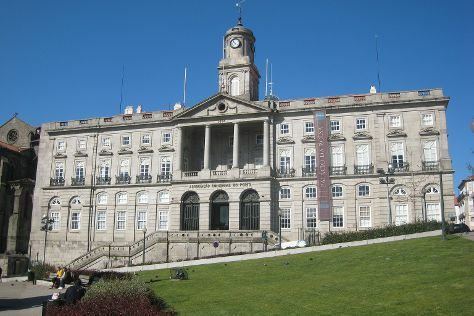 Finish your sightseeing early on the 21st (Thu) so you can drive to Porto. Start off your visit on the 22nd (Fri): kick back and relax at Praia do Carneiro, take in the views from Ponte de Dom Luis I, then steep yourself in history at Palacio da Bolsa, and finally steep yourself in history at Porto Cathedral (Se Catedral). To see maps, ratings, where to stay, and tourist information, read Porto vacation builder. Traveling by car from Obidos to Porto takes 2.5 hours. Alternatively, you can take a train; or do a combination of bus and flight. Traveling from Obidos in September, expect Porto to be slightly colder, temps between 75°F and 58°F. You will have some time to spend on the 23rd (Sat) before leaving for home.